According to a recent report, Australia spends at least $20 billion yearly in gambling with 80% of the adult population engaging in some form of gambling. Most of this money is spent on the 200000 poker machines found locally. Although the numbers are high in Australia, the problem is considered the same but in varying levels all over the world. Unemployed and renting youngsters together with pensionable older generation are more likely to be hooked to the vice. This may be as a result of having more free time on their hands or not having many responsibilities to attend to, but stories like this prove there is a serious gambling problem in Australia. According to the Australian Gambling Research Centre, a 2015 finding revealed that at least 6.8 million Australians gamble on a regular basis. 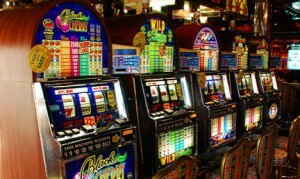 4% of the population play the pokies or involve in some form of gambling every week. Up to 1% of the population experience serious gambling problems including addiction, while a 1.4-2.1% which is about 250000 to about 350000 people have moderate gambling-related issues that may result to addiction if not addressed on time. Socially, the cost of problem gambling is estimated to be at around $ 4.7 billion each year. Regular gambling is the main cause of problem gambling. At least 40% of all those who gambled regularly ended up developing problems related to the activity. Men between the age of 18 to 29 were at a higher risk of becoming problem gamblers. This was more so in men who were unemployed or had low incomes, were single and rented. According to the Australian tax laws, earnings from gambling are not taxable. The activity is termed as a hobby and not a profession. Also, the winnings are termed as strokes of luck and not a form of income. The government rules that for one to have won the money, they might have lost a significant amount in the process. The operators are taxed instead. In 2007-08 gambling accounted for 9.1% of total revenue collected by the government. Poker machines alone bring in at least $1billion yearly. This means that gaming is a big business in Australia. On average, each household spends about 3.1% of its annual income on gambling. Regular gambling can lead to addiction. The condition is known as ludomania and characterized by compulsive gambling or the urge to gamble even when faced with undesirable consequences. The problem unlike alcohol or other forms of addiction can be concealed for years where the addict secretly feeds the urge, but as the years go by, the need to bet more frequently or visit casinos more often grows. The person starts to miss days from work or essential responsibilities just to feed the urge to gamble. With every win or loss, the gambler looks for the next chance to leverage the outcome. What starts out as an enjoyable activity grows to consume the family finances as the urge to keep on playing increases. Spouses reveal that at first, they cannot precisely tell what is going on even when they know there is a problem. Wives most of the time think that the man is concealing an affair due to the secretive lifestyle he leads. Most men do not want their spouses scrutinizing their moves or spendings. It is only when the gambler is unable to meet the household budget or pay bills on time that the problem starts to surface. Some may go to the extent of borrowing huge amounts of money which ends up running down the casino drains. This causes strained relationships leading to fights and divorce. The quality of life is also affected as well as the ability to relate healthily with family members. Ludomania causes the victim not to be trusted with money. People start hiding money from them because they cannot be trusted to use the money as they should. Spouses find it hard to relate healthily or get involved in projects together. One person is left to take care of all the bills and other responsibilities as the other one drowns in the addiction. Research has shown that children exposed to gambling are more willing to try the sport in their adult life. Children who watched as their parents or relatives placed bets and won or were sent to collect the winnings are in more danger. The fact that smartphones are easily accessible today to the youngsters than before exposes them to the vice even more. Gambling does not just affect the financial wellbeing of the addicts and their families, but it causes anxiety, emotional pain to the addict, shame, inability to socialize and legal problems. This can also lead to depression, health issues and other forms of addiction such as alcoholism. There is help for Ludomania for the addicts and their families, but governments need to come up with more stringent rules that ensure gambling does not get out of hand and destroy more families.